High Performance and Enterprise hardware, equipped with DDoS Protected network, maintained by 24x7x365 on-site support engineers. QuadraNet was established in 2001 and is a pioneer in providing high-quality infrastructure solutions. By working with us, you are working with an actual facility operator and provider, you are not dealing with a company downstream that resells space, power, and network connectivity. We are a financially stable and debt-free company that provides services to companies around the globe - you can trust your online reputation with us! New Intel E-2 servers are in! QuadraNet is pleased to announce the Intel Xeon E-2 Series dedicated servers. 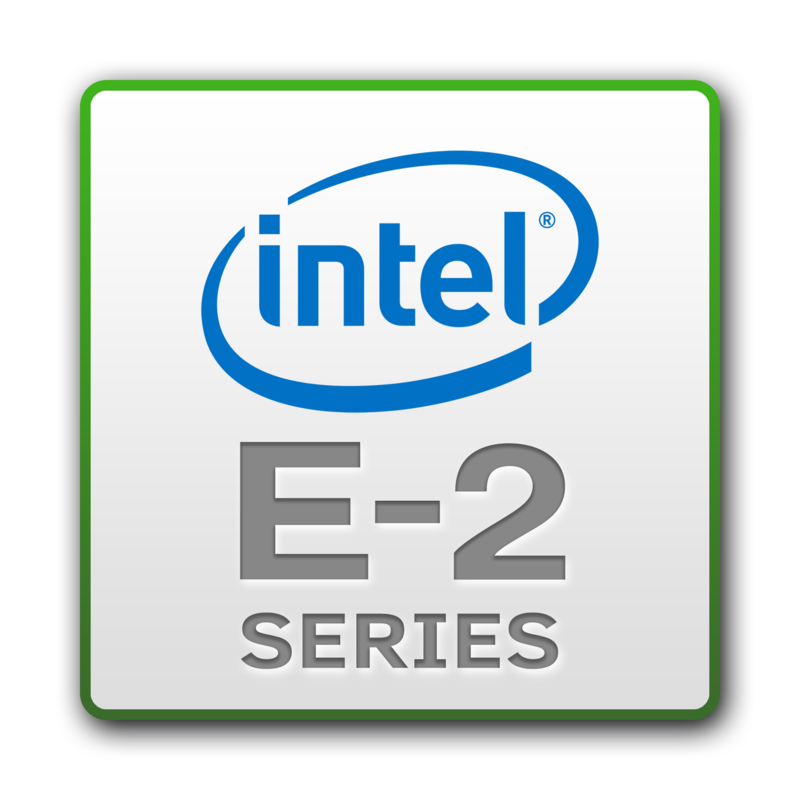 The new E-2 series provides some of the fastest performance yet created in a single processor server. The “G” indicates Graphics – QuadraNet’s Single Processor Servers by default will now include integrated graphics ability. All servers have the ability to upgrade up to 64 GB of RAM currently, and with a BIOS update planned for later this year, we will be able to scale these all the way up to 128 GB of RAM! Wow! All servers include 10TB transfer. With remote power control, you can instantly reboot, power off, or power on your server via the intuitive NEO client portal. All dedicated servers include 100Mbps port speed. Need more speed? Get 10x more network performance - upgrade to a 1Gbps port for + $10/m! All dedicated servers include 3Gbps of QuadraNet's VEST Detect & Mitigate DDoS Protection. Using our 15+ years of experience in the datacenter landscape, we have custom built and tailored a network that is built for performance. Automatically reinstall your server's operating system via the NEO client portal, within the click of a few buttons. Private Networking is included with all dedicated servers. All 7 of our datacenter locations are also interconnected with our PRIVATE network! Our clients around the globe are used to responsive and consistently high quality support. We do not cut corners or make excuses when it comes to support. Every datacenter that QuadraNet operates is backed by redundant UPS & ATS units. This is one of many measures we take to ensure 100% power uptime. All of our datacenters are fully power redundant - ensuring that your equipment is always online, even in the event of a city power outage. QuadraNet provides true 24x7 on-site support along with robust premium network blends in each of their enterprise-class locations, ensuring maximum uptime. That’s less than 5 minutes of downtime per month! We will credit your account back if you experience any connectivity problems, subject to terms detailed in our network uptime service level agreement. Always powered up. That’s what we believe in and strive for. We will credit your account back if you experience any power disruption, subject to terms detailed in our network uptime service level agreement. QuadraNet is renowned for quick set up and deployment times. We're able to accomplish this as we have a dedicated department, called our Provisioning Department, that specializes in building and racking servers. These servers will be set up same-day (within 24 hours) after your order. By default, QuadraNet includes 3Gbps of its VEST Detect & Mitigate DDoS Protection with these dedicated servers, ensuring your server remains online and uninterrupted in the event of an attack under this size. Additional protection levels are available, and can be upgraded at any time. Learn more about VEST DDoS Protection here. How can I request this server to be placed on your Asian Optimized network? QuadraNet Los Angeles datacenter offers a segregated network called our "Asian Optimized Network" - which provides ideal routes to Asia, and allows our networking team to optimize routes IN + OUT as needed for best performance. Mention this in your email, and for an additional fee, we can set you up on the Asian Optimized network. Yes, QuadraNet can attach a KVM to your server upon request. There is no additional charge for this. Give us a call or open a support ticket, our 24x7 support team will attach one to your server for you within minutes. By default, these servers are self-managed. 24x7 Reactive Server Management by QuadraNet is available for an additional + $29/month, and can be added to any of these plans. To learn more, please click here.